I have a lengthy history with Louis Jadot’s Corton Pougets, but the wine itself has a much longer one. Jadot’s Pougets originally came to my attention as a worthy collectible in the late 1980s, during my early years publishing the International Wine Cellar, when I participated in a vertical tasting of a dozen or so vintages from the preceding 20+ years. Some of those wines were made before the arrival of legendary enologist Jacques Lardière, who began his 43-year career with Jadot in 1970 and took over responsibility for winemaking the following year, at the precocious age of 23. Even those earlier vintages struck me as utterly distinctive, but Lardière took the Pougets—along with virtually everything else he touched at Jadot—to a higher level. 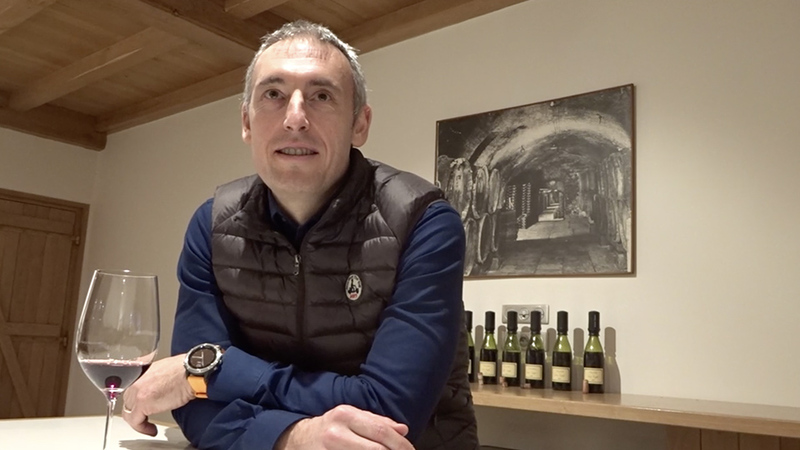 Lardière’s protégé Frédéric Barnier, who joined Jadot in 2010 and began vinifying on his own here in 2013, already has some superb vintages to his credit. In December, Barnier showed me a splendid series of Corton Pougets vintages at the Jadot winery outside Beaune. The wines were even more scented and complex as a group than I had anticipated, but they were firmly structured too—clearly built for slow evolution in bottle. If you’re a long-time fan of this bottling, that news will hardly come as a surprise. But if you’re not familiar with Jadot’s Pougets and have an instinctive aversion to Corton wines owing to their frequently dominant soil tones and gaminess-verging-on-rusticity, this wine may be for you. Making it more palatable still, through the years the Pougets has been a very reasonably priced Grand Cru in comparison to Corton Grand Crus from other producers; in fact, Jadot sells this wine at lower prices than some of its Premier Crus from the Côte de Nuits. Corton Pougets was originally purchased by the Jadot family in 1913 (the bottle carries the Domaine des Héritiers Louis Jadot label), and can fairly be described as one of the company’s flagship Burgundy bottlings. But Jadot’s history goes back much farther than that. The house of Louis Jadot was established in 1859 but the family had already been wine-growers in the region, having acquired their famous Beaune Clos des Ursules vineyard, a walled portion of the Premier Cru Vignes Franches, in 1826. Of the just over 3 hectares of Corton Pougets owned by Jadot (representing nearly one-third of this Grand Cru’s total surface), 1.2 are planted to Pinot Noir and the other 1.87 to Chardonnay. 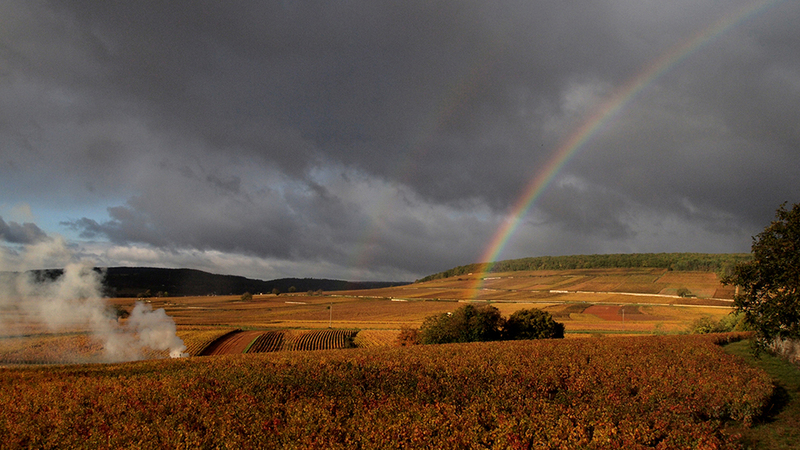 In fact, Jadot’s consistently superb Corton-Charlemagne bottling comes entirely from their vines in Pougets. The single most important thing to know about Corton Pougets is that it’s a red wine from white wine soil. Located next to Le Charlemagne on the mid- and upper slope of the Corton hill in Aloxe-Corton, enjoying a southern exposure, it’s on brownish chalk and light marl, with a substantial limestone component in the lower portion of the vineyard on the Ladoix side. Along with just four other Aloxe-Corton vineyards close to the famous woods at the top of the Corton hill Le Charlemagne, Le Corton, Les Languettes and Les Renardes (all but the last of them extending up to the tree line), Pougets can produce either Pinot Noir or Chardonnay—the latter bottled as Corton-Charlemagne. Today, the only other estate bottling of Corton Pougets is Domaine Rapet. 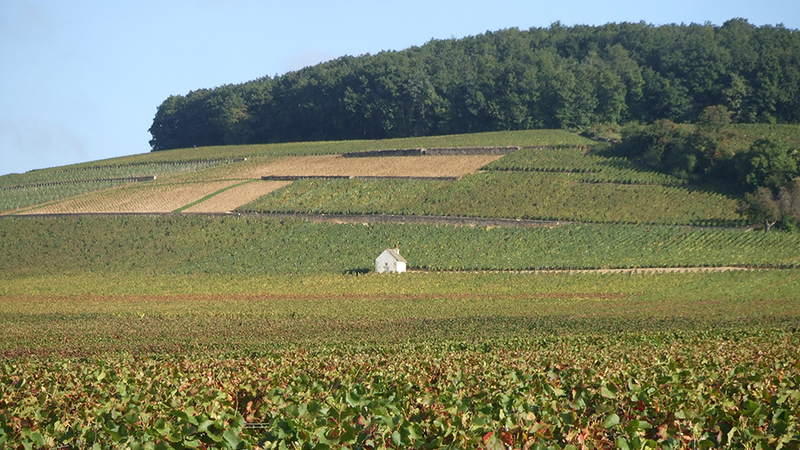 Jadot’s highest parcel of Pougets is used to make Corton-Charlemagne, while its larger, slightly lower, more gently sloped plot of land is used to grow both Chardonnay and Pinot Noir. Although Jadot offers a number of Grand Cru reds from Corton, their only other estate holding of Grand Cru Pinot Noir vines in Aloxe-Corton is in nearby Grèves, a bit farther to the north, facing southeast and situated slightly lower on the hill than their Pougets. The soil in Grèves is similar but features a higher silica content and yields a somewhat earthier, more tannic style—in other words, more typical Corton. Today, Jadot has four different ages of vines in its Corton Pougets Pinot Noir, the oldest dating back to 1964. According to Barnier, the house’s practice has been to replant 25% of the vines every 20 years or so in order to have a mix of vine ages and to avoid having “a break in the wine one day due either to very old vines or, a few years later, from a high percentage of young ones.” There were replantings in the 1970s, 1980s and 2000s but no further redevelopments are anticipated for at least ten more years. Jadot produced a whopping 26 barrels of Pougets in 2017, the equivalent of 49 hectoliters per hectare, which Barnier described as “the maximum” for Jadot. But yields in the vintages I tasted were mostly in the range of 25 to 40 hectoliters per hectare. The manual harvest is done in a single day, typically taking place seven to nine days after Jadot begins picking fruit on the Côte de Beaune (and a couple days later than the Corton-Charlemagne). The grapes are hand-sorted and the fruit is routinely destemmed (Jadot frequently vinifies a number of their other wines with a percentage of whole clusters, particularly some from Gevrey-Chambertin, but these are the exceptions to the general practice here). Because Jadot’s Pougets is a sizable parcel, the wine requires two fermentation tanks, one an open-top wood vat and the other a vertical stainless steel tank. The fermentation typically begins within a couple days after the grapes are picked (Jadot does not believe in maceration à froid) and total time on the skins ranges from three to four weeks, including a few days to a week of post-fermentation maceration. 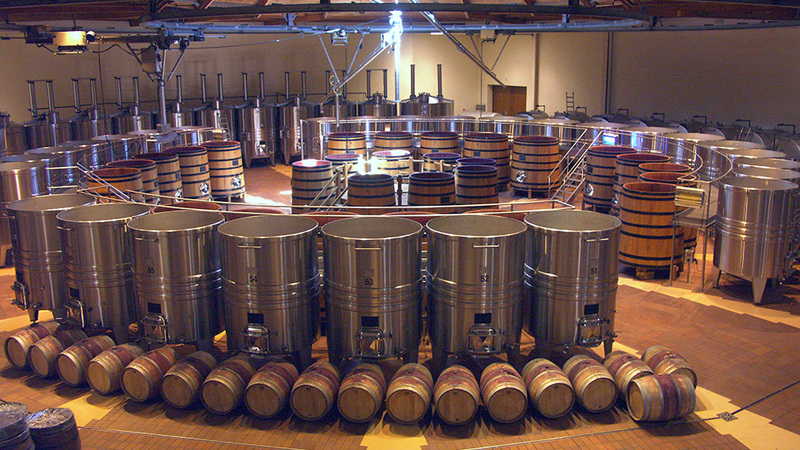 No attempt is made to control the temperature of the fermentation as Barnier believes that this is simply another characteristic of the vintage, but he noted that due to climate change and the fact that the harvest now typically takes place earlier, under warmer ambient conditions, he may soon need to cool some of his tanks to prevent the temperature from rising higher than 35 degrees C. (currently 30 to 32 is normal). The team punches down the cap twice a day during the fermentation itself, but gently so as not to crush the grapes, in line with Jadot’s objective of preserving site typicity, and does not practice remontage for fear of hastening the fermentation process. The wine is racked after the malo and typically again in March, in preparation for the bottling. The length of the élevage is typically around 18 months, with the bottling taking place in April or May. Incidentally, Barnier prefers to use barrels aged for 24 to 30 months, vs. a standard 36 months at Cadus, as he likes the freshness that younger oak brings, even at the risk of a bit of greenness. Jadot’s leisurely élevage, he believes, gives the wines sufficient time to absorb their oak. To my palate, Jadot’s Pougets has always been an atypical Corton Grand Cru. Yes, it shares the soil tones, minerality and solid underlying spine of the other Grand Crus from this appellation, but in its musky aromas of red fruits, spices and flowers; its frequent high notes of blood orange, rose petal and white pepper; its mid-palate energy and definition; and its overall impression of perfumed lift rather than sheer power, this distinctive bottling has always struck me as less rustic if not downright Chambolle-like. For his part, Barnier notes that “Pougets has the austerity of Bonnes-Mares or Chambolle-Musigny Les Fuées at the beginning. It’s quite discreet early, but becomes very elegant after a few years in bottle.” But the wines made in the 2000s have also been markedly different from the vintages I tasted at my earlier vertical in the late ‘80s. Barnier agrees, pointing out that this site has clearly benefited from global warming. “Years ago, the wine was definitely more austere in its youth,” he told me. Still, today’s wines hardly lack density or structure. I have often seen Jadot’s Pougets described as a solid, even burly wine but that doesn’t capture its aromatic complexity and verve. Yes, it can be firmly tannic and quite backward in the early going, but it’s also wonderfully delineated, perfumed and alive. Similarly, some critics describe the wine in terms of brambly black fruits and power, but with the possible exceptions of the very hottest years, I more often find notes of plum, raspberry and strawberry—even pomegranate—all complicated by high-pitched flowers and spices. And “powerful” belies the wine’s often filigree presentation of detail. 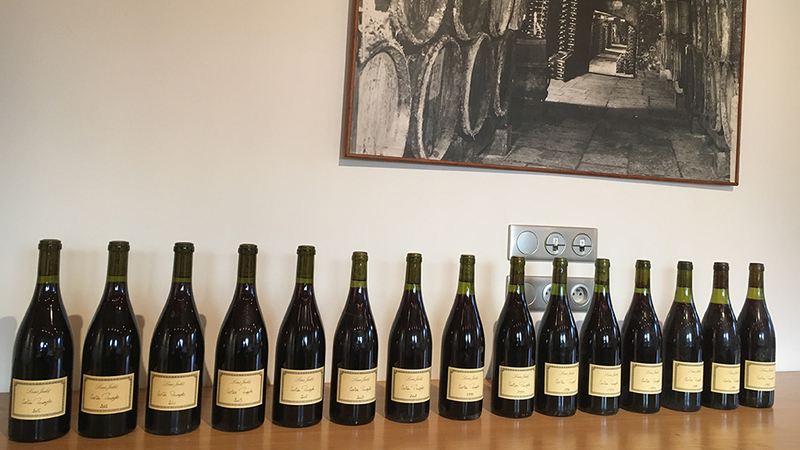 I tasted a vertical of Domaine Faiveley’s flagship monopole Corton-Clos des Cortons, made from a parcel of almost the identical size straddling the lieux-dits of Le Corton and Le Rognet for a forthcoming article. I’ve long marveled at how different these two Corton Grand Cru bottlings were, and tasting multiple vintages of each wine covering more than a quarter-century only made the differences clearer. The Faiveley wine is usually darker in its fruit character, more likely to show leather and tobacco nuances, and more massive, muscular and broodingly tannic than Jadot’s Pougets.